can i? all i can say is moopshop.com. 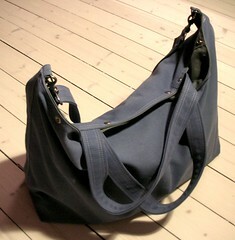 great handmade quality and wonderful bagdesign. it took 2 1/2 weeks for it to get sewn up and travel from new york to oslo. and how in the world did i end up finding this bag? well, modish told me! And if you wan’t to spend hours and hours with your laptop, one pretty thing and whipup are two great start off sites for us crafters. who actually gets anything done with this thing called the internet around anyway?